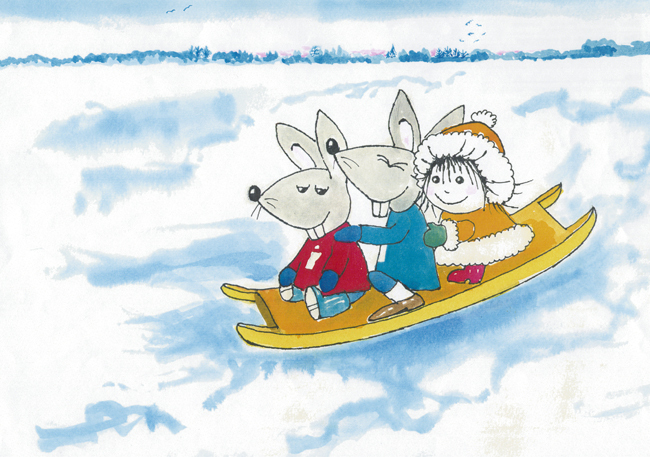 Circleen and the mice – Ingolf and Frederic – are playing in the snow. They build a “snowmouse” by which they finally succeed in chasing off the cat. Cirkeline og musene Ingolf og Frederik er ude at lege i sneen. De bygger en snemus, som det til sidst lykkes dem at skræmme katten med.